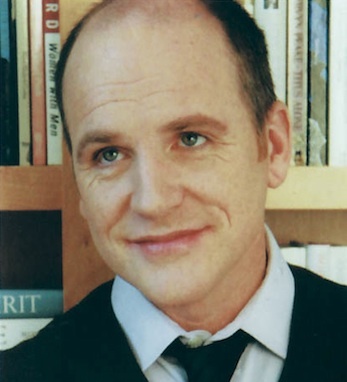 Comedian Greg Fitzsimmons became a favorite of Irish America magazine when he appeared at our Top 100 awards show a couple of years ago. He had everyone laughing with his stories of growing up in an Irish-American household and now he’s gone on to write those stories down in a best-selling memoir (though he’s only 44). Called Dear Mrs. Fitzsimmons: Tales of Redemption From an Irish Mailbox, the book is a series of memories linked together with notes that his mother received from various teachers about Greg. The notes start when he is in kindergarten and go on through high school, and when Greg started doing standup on college campus, there are notes from principles complaining about his act. The book is funny but also poignant as it deals with Greg’s relationship with his father, Bob Fitzsimmons, a talk radio host, whom he loved but who struggled with alcoholism, and Greg also writes bravely about his own struggles to overcome addiction. In addition to his book and stand-up work, Fitzsimmons hosts a radio show on Howard 101, one of Howard Stern’s uncensored satellite radio channels. He was also a writer and producer for the Ellen DeGeneres Show from 2003-2005, and won four Daytime Emmys for his work there.